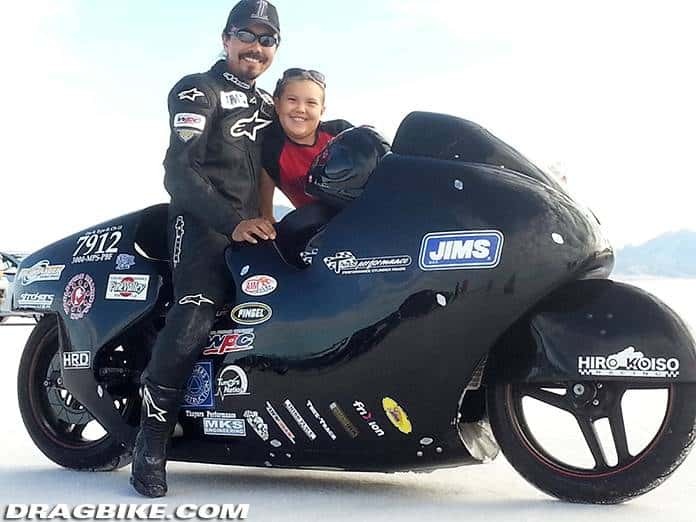 At the annual Bonneville Motorcycle Speed Trials AMA Land Speed Grand Championship, Hiro Koiso Racing returned to the Salt seeking more records and faster speeds. 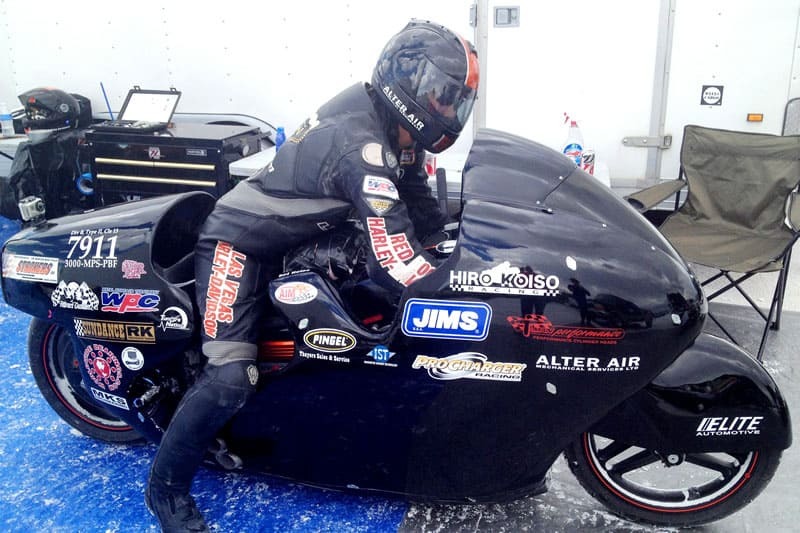 Koiso had set the fastest open bike record on the salt at 227.236mph in 2017 at the BMST. JIMS / T-Man Performance 135 cubic inch Twin-Cam engine is coupled with C-1R ProCharger , modified 2006 Harley-Davidson FXD-I based motorcycle puts out over 400HP at rear wheel. This year, aero dynamic aid was put into place entering the team into the partially streamlined class. A newly designed fairing was fitted and equipped to the bike. Following the shake down passes form the first day, on 8/27/2018 Koiso clocked a blistering 259.951mph on the measured mile. 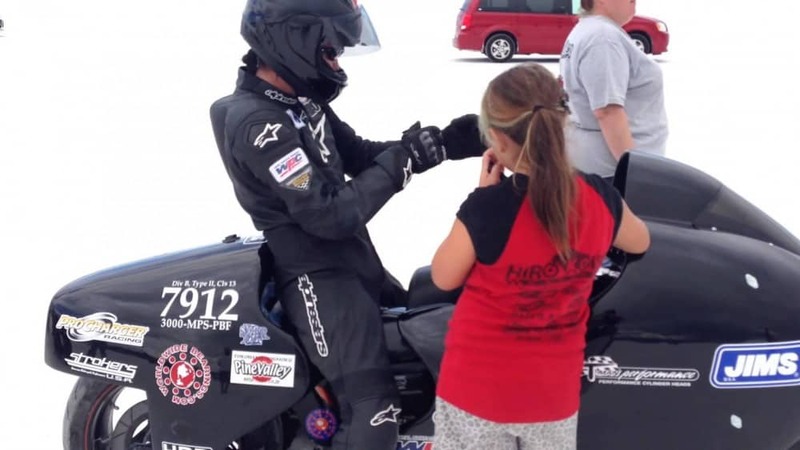 This is the fastest speed recorded in history on a sit-on Harley-Davidson motorcycle. GPS recording shows in excess of over 260mph. However, during the timed mile, the front tire began to fail. Koiso was able to keep the bike upright, but extensive damages to the bike kept him from making a record return run. “We could only make a few runs at the BMST this year. But we learned some priceless information from them. By knowing the cause of failure and what our equipment is capable of, we are going to go even faster next year. Our next goal will be a tribute to the H-D factory Streamliner efforts from 1970, which set a record at 265.492mph. All things considered, we believe it is possible to hit the 270mph mark. We just need to work harder for it.” Koiso stated. 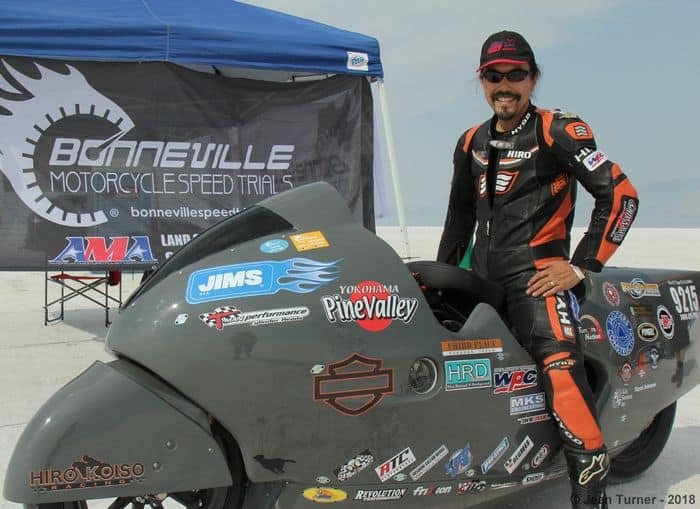 Despite the tire failure the team seized a 223.195mph FIM World record (pending ratification) in Category I, Group A1, Division B, Type II, Class 2500cc.Hiro Koiso Racing is powered by: JIMS, T-Man performance, ProCharger, Pine Valley, HRD Performance, Third Place, AIM Corp., WPC treatment, Fuji WPC, Frixion, MKS Engineering, Pingel Enterprise, Worldwide Bearings, Revolution Performance, Lyndall Brakes, Kraus Motor Co., Sundance Enterprises,Inc., HorsepowerInc.True-Track, Custom Cycle Engineering, Attract Customz, ATC Performance, Dynoman, Forest Wing, Kusunoki custom works, Strokers USA, SHOEI Helmets, 45 Degrees, Active, Pre-Stage Performance, Ram Pro Line, Full Gain, Red Rock Harley-Davidson, Borderless, Tuners Nation, Jaggers Construction, DJB Gas service Inc.
Hiro Koiso Racing – The Fastest Sit On Harley Davidson in History 2018 Watch from on the bike. 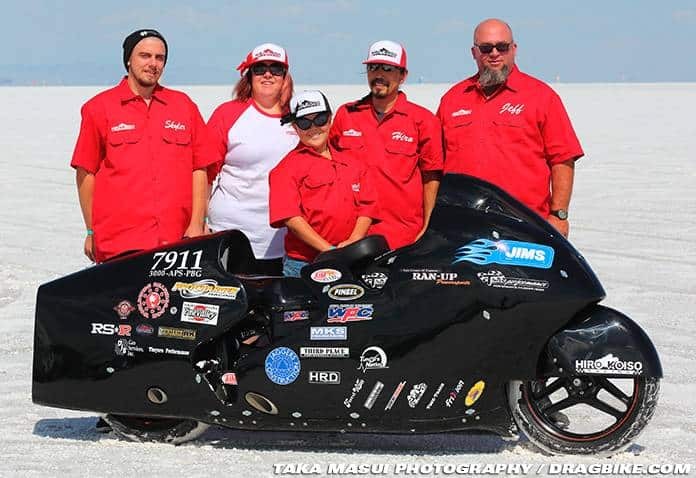 This entry was posted in Blog, General Info and tagged 7911, Alter Air, bonneville, drag bike, Elite Automotive, Fastest Harley on salt, Hharley Davidson, Hiro Koiso, JIMS, Land Speed record 259 mph, PINGEL, Salt flats, scta, Sundance RK.